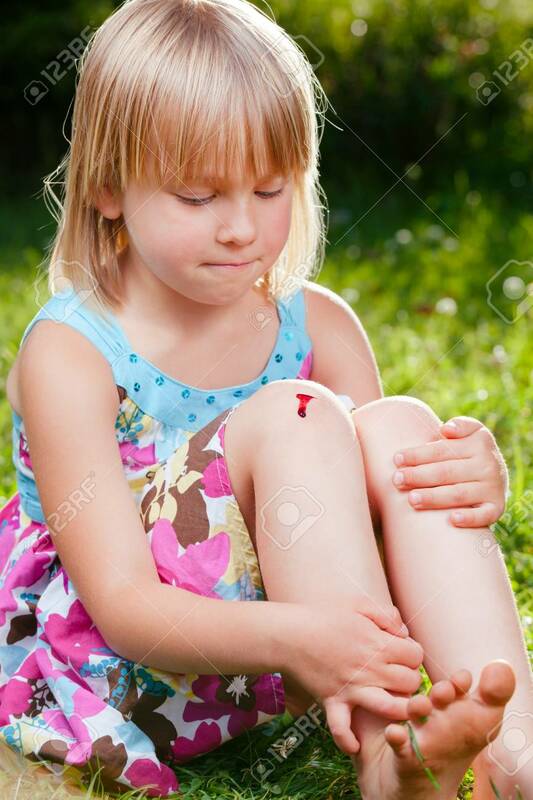 Little Girl Wearing Summer Dress Sitting On A Lawn In A Garden With Small Injury On Her Knee. She Is Looking At Aching Place With Pursed Lips Holding Back The Tears Lizenzfreie Fotos, Bilder Und Stock Fotografie. Image 118202203.